I founded my own Home Care agency in May of 2000. My wife picked out our name, Helping Hands of America. I am pleased to say that after 13 years not only am I still married to the same wonderful woman, but we are still in business today and continue to have a stellar reputation in our service area. I looked at a variety of businesses prior to settling on Home Care. Having narrowed the field, I then started looking at franchisors to form a relationship with. It wasn't until I meet with a banker (to discuss borrowing a BUNCH of money) and he asked, "So what do you get for your $40,000?" that it dawned on me that a) I got exactly one weeks worth of training and b) the right to buy someone else's proprietary software. In other words, not a whole lot! If Home Care Seminars had been around when I first started my company, it would have saved me a great deal of time, effort, and money (blood, sweat and tears too!) The tools we make you aware of in the telephony technology and scheduling sections alone would warrant the seminar. When you attend one of our seminars, you will be benefiting from over 42 years of home care experience. Some of our lessons we learned the hard way; in other words, we've taken the pain out of them for you! You can rest assured that what we pass along to you in class has been tested, and proven, repeatedly in the field. Why Choose Home Care Seminars? There are several ways to get into the Eldercare/ Homecare business; start your own, buy an agency, or pay a lot of money to a franchise organization. Each has its own pro's and con's, but here we will focus on two; starting your own (with a little help!) and buying into a franchise. Very few of us work for the pure joy of it; most of us actually work to earn a living, and hopefully salt a little of it away for retirement and a rainy day. Over the next few pages you will see a cost comparison between buying into a franchise organization, or starting your own Home Care agency with assistance from Home Care Seminars. The difference between the two is quite simple; money! A lot of it! Both upfront and years into the future! Money that can go into your pocket, or into a franchisors pocket. 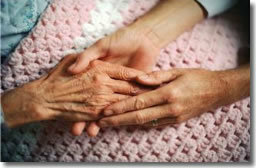 In our week long seminar you will learn how to start and run your own Home Care agency. We will share with you over 42 years of hard learned lessons, inside industry knowledge, and tools that will help to make your own business a success! Starting a business on your own is hard. Starting a business with a caring, knowledgeable support group looking after you every step of the way is easy. Home Care Seminars is committed to providing you with an affordable, comprehensive means of starting your own home care business. Our low initiation fee, easy to follow step-by-step instruction, professional training course and unparalleled support make us the right choice for you. We are actively seeking motivated individuals who have a genuine interest in helping the elderly. We can help you build your own senior home care business in your area with the tools and resources, in-depth training and support services to help you become successful. 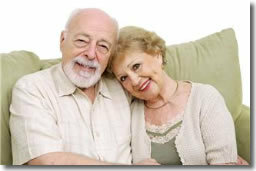 Click on Request Information for FREE info on how to open a Home Care Seminars LLC franchise today! Please Note: This Home Care Seminars LLC franchise opportunity and other franchise business opportunities, businesses and franchises for sale on this web site are not to be considered as an "offering", "franchise offering", suggestion or recommendation by Franchise Leader™. This advertisement depends entirely on the truthfulness of the information provided by our advertisers which includes, but is not limited to, franchisers, franchise brokers, franchise consultants and business brokers. Franchise Leader™ recommends that you consult a lawyer, financial consultant, accountant or professional advisor before buying a franchise or business opportunity or any type of business. By using this form or any part of our website, you have agreed to all terms and conditions of Franchise Leader™. Please review our Terms & Conditions for more information.